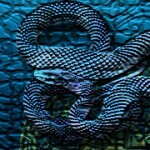 Chinese Astrology says that the Year of the Snake is a very positive influence. 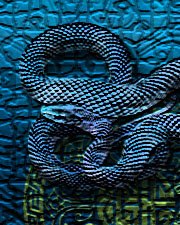 Because the Snake is regarded as a thinker we could expect advancements in science and technology. The Water element of this year in particular gives this Snake a new awareness of the subtle movement toward a deeper collective emotional intelligence. Maybe that is why I’m sitting curled up, in my basement, near my space heater, coiled like a snake in hibernation, dreaming dreams of Spring and awaiting the mass awakening that will come with it. The period of darkness in Winter is perfect for introspection, going deep within and analyzing what serves our greater good, and where to put our attention so that our focus becomes clear and our path illuminated. Listen to the wisdom of your intuition and go with your instincts. Be willing to shed the old skins that hold you tight. If you have grown, be ready to take a risk and step out of that old skin! Rest and renew your Spirit. Rejuvenation comes in time, like the dawn after darkness. After the emotional roller-coaster of the recent past our collective weariness is palpable. Trust that the awakening is coming and that the regeneration of the Soul will come in its own time. Let’s take the next week or so as a respite and just allow life to transpire, to appreciate the moments for what they are, and observe our place in the grand scheme of things. Wishing you Bright Blessings of the quietude. Posted in Uncategorized by kalin on December 23rd, 2012 at 7:18 pm.